Our training programs aim to include: boxing training, sports conditioning, strength training, bodybuilding, weight loss, body tone and prenatal/postnatal training. The trainers' ultimate goal is to bring the passion, inspiration and drive towards improving your body, soul and mind. YOU ARE our top priority! Our business can be found within the Empower Fitness private studio at 5436 W 79th St and are available for in-home training upon request. We welcome the opportunity to earn your trust and deliver you the best service in health and fitness. Suzana has been a personal trainer for 10+ years. Her passion and drive in boxing has continued to grow and has provided her various opportunities including establishing the SRG Boxing Team, taking 1st place as 2009 Women's National Golden Gloves Boxing Champion, taking 2nd in the International Ringside Show, and winning the Indiana Best Female Fighter award. Later that year, she married husband Darnell Griffin and then came their two kids, Lennox and Olivia.. Since then, she has added prenatal and postpartum training, bodybuilding, media productions, and group fitness training, and a Masters degree to her list of achievements. In 2014, she began venturing into the figure and physique competitions and just recently won 3rd place at the NPC Indiana show. She is licensed through Indiana Boxing Commission, certified in Zumba, USA Boxing Association and AFAA, and is a member of ACSM and IDEA Fitness. Her mantra is "become the best you can be, by inspiring passion to attract success." Her great energy and drive will help motivate your success. Darnell is a certified personal trainer and certified power lifter and developed bodybuilder. As an Indianapolis native, he has been strength training since 16 years old but only recently begun his career in training others within the fitness and strength training industry. His strength in power lifting has won him multiple championships throughout Indiana. In July 2010, he competed in his first bodybuilding show in Indianapolis, taking 2nd place for the state. Moving forward through his bodybuilding career, Darnell competed in February 2011, winning 1st place in his weight class and 1st place in the Overall show. In 2013, he won 1st place at the Kentucky Muscle and in 2014, won 1st place and overall winner at the NPC Indiana State Championship. He has competed and won twice for Team Universe in Teaneck, New Jersey and had the opportunity to compete internationally in both Spain and Brazil. He is a dedicated trainer who strives to reveal the best in his clients with of assistance in nutrition, fitness, and training. He specializes in weight gain, strength improvements, fat loss, muscle tone, and "old school" training. Chelsa started her fitness journey in January 2011, after she started having health problems. At her heaviest weight, she was 265lbs. and has since lost 105 lbs. She finally hit her weight goal at the end of July 2013while training for her first half marathon. Since then, she became a NETA Certified Personal Trainer in April2013 and immediately began helping others on their fitness endeavors. She is an avid runner and has sinceran four half marathons in a year, and will run 1 more before the end of 2014.In 2014, she was the official long run trainer for the YMCA's Mini-Marathon 500team and has also trained clients individually for running events. 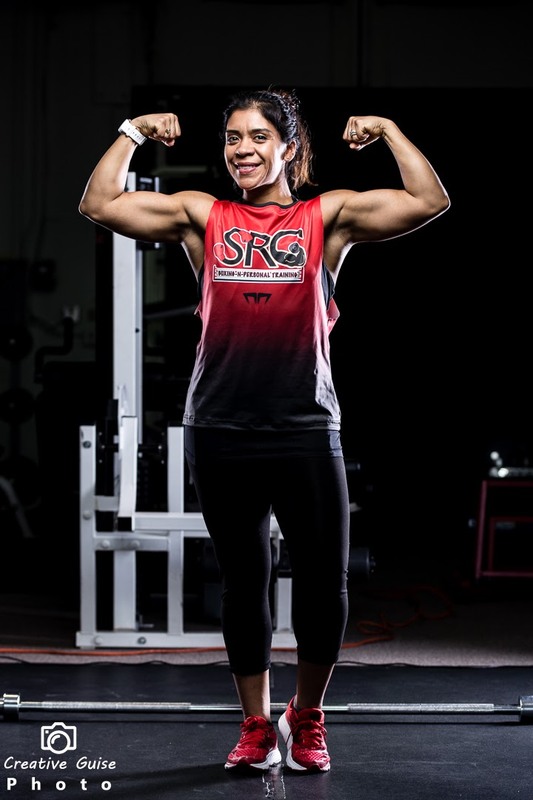 She has a LOVE for weight training, spinning,teaching and taking Group Exercise classes, and recently, has found a NEW love for boxing at SRG! Chelsa specializes in weight-loss through exercise and food planning, structured strength training, half-marathon and triathlon training, and rehab from and/or during injury.